As all other Scandinavians I'm a big lover of IKEA. Of course! Who doesn't love IKEA? I know it can be a nightmare to get through the shop, and that their meatballs has horse in them, but differences aside! I love going to IKEA - Which I rather frequently do, actually - and browsing their stuff on the website, imagining how I'd decorate if I had a billion moneeyyzzzz. My couch is old. Like really old. Like, I was washing it recently, and the pillows had 1978 printed on them. When I asked my grandma, she confirmed. It is rather old. It's blue, and pretty, apart from where my cat have been tearing it apart. She hates scratching trees. Only the finest couch will do for her nails! I feel rather sad about parting with it, but I can't seem to forget about this preeeeetty pink sofa. I've been wanting one for ages! Also it is a sleepingcouch, which would be great for guests! It's actually nicely priced for a couch(sleepingcouch) and if I can get myself to get rid of my old couch, I'll probably be buying this one! This is apparently called a sideboard. I never knew! In Denmark it is called a "skaenk". I think this is such a luxurious and beautiful piece of furniture. It's from their new lux-collection, and it would be perfect for keeping things like tablecloths, candles, birthdayflags and everything else small, as well as leaving keys-newspapers-notes-flowers-whatever on top on. It's rather expensive for this type of furniture in IKEA-manners(£350), but I think it is worth considering to save for! I need a real bookcase. 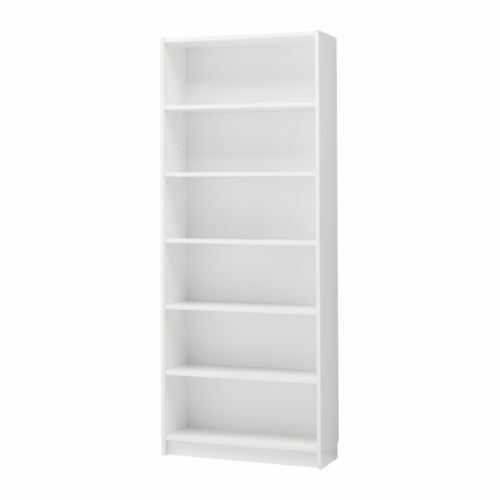 My shelves are over-flooding-on-the-brink-of-falling-down and having a real, simple white bookcase would be a life-saver. This is completely boring, but I often feel really disturbed by the different sizes and backs, so there is no need for making it even more complicated. I should consider a door to go with this, since they are kind of good deals! I've loved this for quite some time. It's amazing to sit in, and it looks so chic. I think it would be absolutely perfect for a nice reading corner and I really hope to see it in my living room some time! It's a little expensive for a chair, but it's rather special I think! I love this to pieces, and I know people think it is ridiculously ugly. It is actually, but I can't help it! No words needed! I probably won't be buying this though. I keep convincing myself it is just a phase. Hi. May I ask you something.. i noticed you love pink, which is a really girly colour. What does your boyfriend think about? Espacially about bying a pink couch? The Billy bookcases are nice. The walls of my 'library' are lined with them filled with my 3000+ books - yes I have that many books: http://www.librarything.com/profile/PedrBran - They're functional. what happens with your blog? Its very difficult to see your posts with the new system blogloving,and your blog doesnt appear in google if you writte your name.why did you make a change?